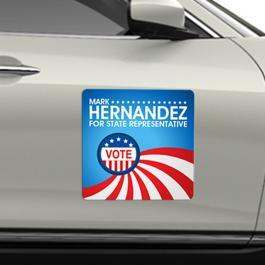 These quality custom 12x12 campaign magnetic car signs round corners – 30 MIL are perfect for expanding your political persona and reaching out to your voters in short time. The UV resistant full color printing technology ensures that colors remain in good condition until the political campaigning proceeds and later, too. You can avail these extra thick 30 mil magnet offered at extremely lower prices by bulk ordering it from us. 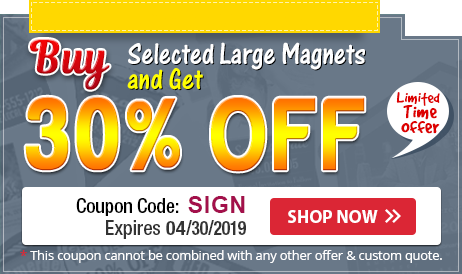 We offer free artwork, art set up, shipping and many other value benefits on these magnets. 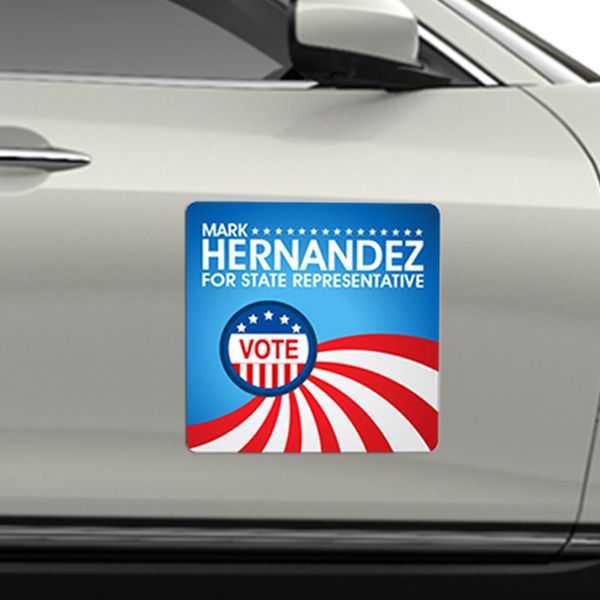 Request a quote to know price savings that can be availed on ordering these customized 12x12 campaign magnetic car signs round corners- 30 MIL in wholesale. Additional Information – This price is inclusive of printing in full-color (four color process) on one side. Exact color matches, metallic and fluorescent colors not offered in full-color. Write-on/Wipe-off surface not available. Product Size: 12 in. x 12 in..